According to reports from the Netherlands, Range Rover may develop a drop-top variant of the compact Evoque. 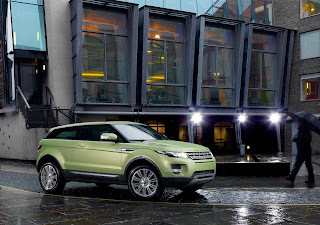 Unlike Nissan with the Murano CrossCabriolet, the Evoque convertible wouldn't be an image building model. The rumour comes as Range Rover is looking to expand the Evoque line-up, with one possibility being a convertible variant. Other variants include a 7-seat model and a hybrid. Although nothing has been confirmed, if greenlighted, the vehicle would hit production within the next three years using the 3dr Evoque as a basis.